It’s that time again. Time to dust off that witch’s cap or that set of Frankenstein neck bolts, time to practice that Vincent Price voice or give your best rendition of “Fly My pretties!” And while you’re at it, don’t forget to pick up some dry ice and brain-shaped lollipops at the supermarket, along with a Halloween card to send to a friend. It’s Halloween! While one might think at first that mixing scary movie imagery with excessive amounts of candy would be a recipe for disaster, Halloween has turned out to be one of America’s most beloved pastimes. Arriving every October 31st, Halloween is a time for kids and adults alike to dress up as something scary – though the grown ups generally prefer costume parties to trick or treating. But no matter how old you are, it’s a good time to think of friends and perhaps send them a gift, some candy or a Halloween card. Just remember not to send any fake blood, it might give the wrong idea. The history of Halloween dates back to medieval England, since any country that can produce someone like Henry VIII is bound to have a scary side. While candy is the primary way to show your holiday spirit, sending Halloween cards has become more and more popular. The traditions of Halloween result from a mixture of a Roman seed planting festival and the Celtic festival honoring the end of summer; the end of summer being such an awful thing for the Celts that it’s no surprise it ended up being associated with monsters. But the name itself comes from the fact that Halloween comes immediately before All Hallows Day. 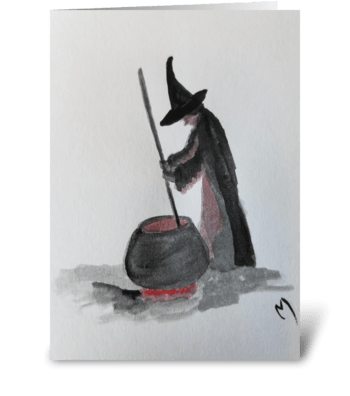 As far as trick or treating goes, it emerged as a tradition for children and adults alike to ask for a blessing on their souls; today, it serves the equally important purpose of getting the kids out of the house for a while. There are plenty of other important traditions on Halloween as well, such as pumpkin carving, apple bobbing, and trying to get the leaves off your front lawn so you can put up that giant tarantula decoration you love so much. 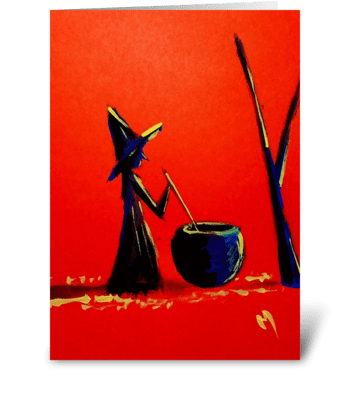 But don’t forget to look out for the well being of your fellow spooks this Halloween; a Halloween card, poem or gift for loved ones will keep them from frightening you with a petulant reaction later on.